Perhaps it's because she's heavily criticized or even banned, but I ADORE Blume as an author and have since I was a young chocolate marshmallow discovering the many "tastes" of books! 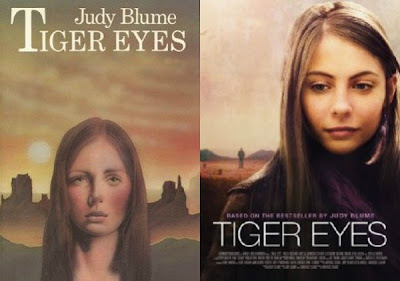 Nevertheless, Blume's book Tiger Eyes is becoming a movie!! Yes, the book's ALWAYS, yet I must admit...I'm pretty excited about the movie! Check out the blog and trailer from Judy Blume's cinema debut of Tiger Eyes!